@BasqueStage Heads Outdoors | eat. write. smile. Hopping the fence; Elisha and Andoni enjoy a stroll; I try for another handstand in epic surroundings. As BasqueStages, Elisha and I spend a lot of time in the kitchen. 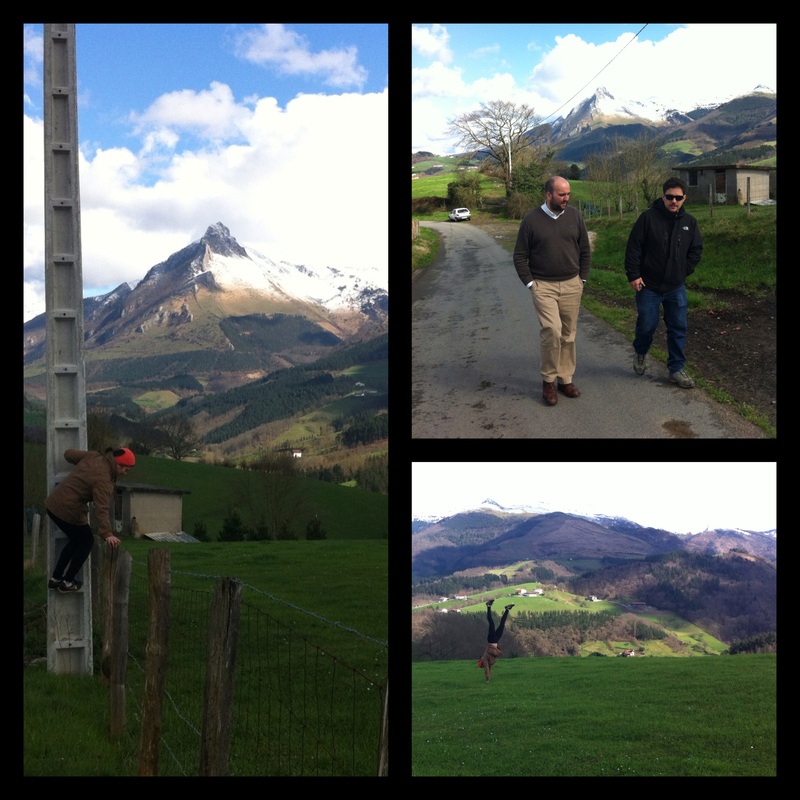 We like to balance our long hours indoors with frequent trips to the Basque countryside. Our friend Andoni took us to the foot of Txindoki, a 1346 meter peak that is occasionally called the Basque Matterhorn for its similarly dramatic shape. Vivid green fields and cold mountain air refreshed us, and reminded us that we’re living in a beautiful corner of the world. This entry was posted on March 21, 2012 by Ruthie in BasqueStage, Quick Pic, Travel and tagged BasqueStage, Mountains, Txindoki.